In bright sunlight, anti-reflective glass reduces screen glare, maintaining outdoor digital display visibility. Manufacturers such as Pilkington use a special optical coating to create anti-reflective glass. Anti-reflective glass lessens the glare that reflects off outdoor digital displays in bright sunlight. In most cases, anti-reflective glass can reduce reflections to as little as 0.4%. The result is greatly improved visibility for your outdoor digital display application. Your digital signage content appears with crystal clear clarity, making it easier to view and less strenuous on the eyes. It is common across the digital signage industry to fit anti-reflective glass to specially-designed outdoor digital display enclosures or for screen manufacturers to fit optically coated glass directly to digital displays. Outdoor digital displays are subject to vandalism. Standard glass shatters on impact, representing a public safety issue. Laminated glass holds together, even when broken, while its high strength stops glass from breaking into large, sharp pieces, preventing potential injuries. The result is a more robust outdoor digital display that can withstand vandalism, protecting your investment and public safety, long-term. Specially-designed outdoor digital signage enclosures and purpose-built outdoor screens can be fitted with laminated glass to enhance the robustness of outdoor digital displays. 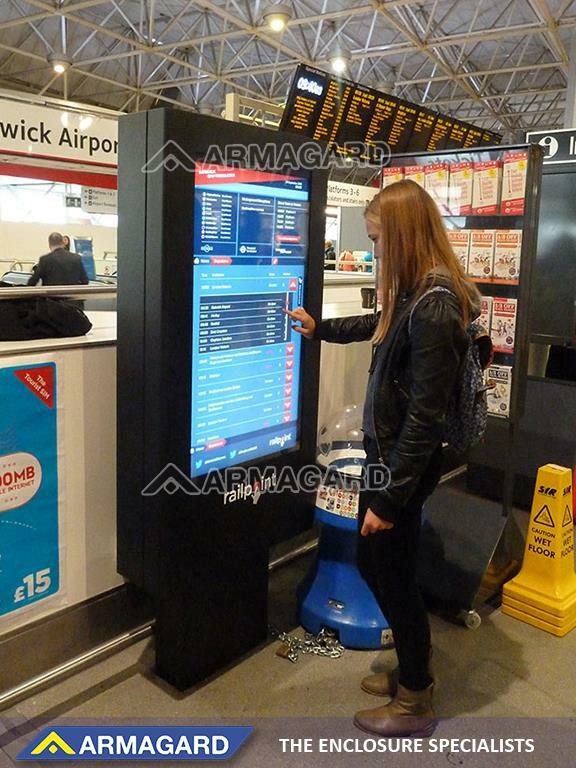 An Armagard outdoor digital signage enclosure fitted with Pilkington’s heat absorbing glass. One of the biggest challenges facing outdoor digital display applications is thermal management. Electronics generate their own heat, which is relatively easy to manage with cooling technology. However, if you add external heat to the equation, outdoor digital displays can suffer heat overload. Continuous exposure to bright sunlight, at the height of summer, will cause electronic hardware failure if not managed correctly. Cooling components can only do such much, which is why many outdoor digital displays are fitted with heat absorbing glass to prevent overworking cooling components. Heat absorbing glass can absorb as much as 45% of external heat, preventing further heat build-up within an outdoor digital display enclosure or the chassis of a purpose-built, outdoor screen. 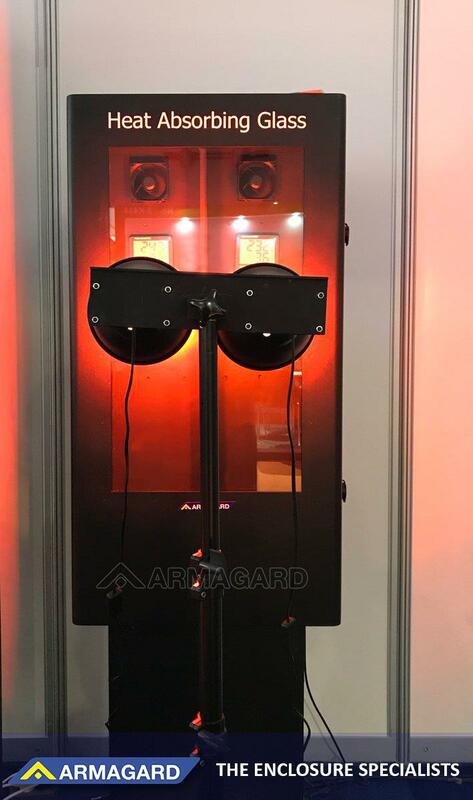 The result is less strain on internal cooling components, while minimising the potential for hardware failure and leaving you with an inoperable outdoor digital display. Heat absorbing glass adds an extra layer of thermal management protection, enabling outdoor digital signage enclosure vendors and screen providers to design and manufacture more robust solutions for the end user to install in hot, outdoor environments. Touch screen glass as used on a specially designed digital signage enclosure. The most common touch screen technology applied to glass surfaces on purpose-built, interactive outdoor digital screens and specially designed enclosures, tends to be PCAP technology. In fact, PCAP technology is widely used for most interactive touch screen devices. Chances are, your smartphone and tablet use PCAP technology. It’s the preferred option because of its durability and versatility when compared to the alternatives. Touch screen glass adds another level of engagement to outdoor digital displays. The benefit is that you can provide a memorable experience for your customers, boosting your brand awareness and driving sales. Practically, touch screen glass is designed to stand up to the rigours of constant use. Specialised, outdoor touch screen display enclosures and screens will often have a scratch resistant overlay applied to the glass, ensuring that the surface remains responsive long-term and giving you the best possible return on investment. Multiple outdoor digital signage glass types continue to emerge as market demands change. More recently, self-cleaning glass has become popular as end users look to cut down on manually cleaning entire outdoor digital display networks, while the emergence of extra-clear glass delivers an enhanced viewing experience for customers. The use of high-performance glass in the design and manufacture of digital signage is growing, enabling vendors to provide end users with evermore innovative and robust solutions that deliver a significant return on investment. Or to learn more about the Pilkington glass product range click here. 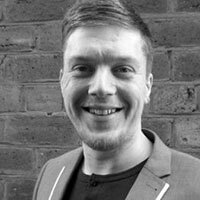 Head of Content at Armagard, Daniel has authored high-profile blogs on the latest topics and trends across the digital signage industry. Daniel’s content features in Digital Signage Today, AV Magazine and more, offering thought leadership, commentary and insights on all things Digital Signage.